Tim is a former secondary headteacher and currently Director of ASCL Cymru. He trained as a musician, and taught in a number of comprehensive schools across the south of England and Wales. 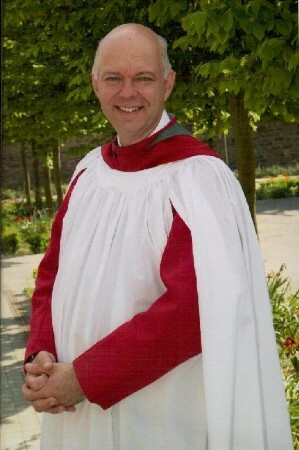 He has directed church choirs since the late 1970s and became Director of Music at St Mary's in June 2000. Tim is also a composer, and keeps the choir supplied with a range of new anthems to try every year! In 2014 he was awarded the AWACM (Archbishop of Wales' Award for Church Music). Judith trained at the Birmingham Conservatoire and the Royal Academy of Music, She was Organ Scholar at York Minster prior to moving to Birmingham where she was first Organist, and subsequently Director of Music at the Birmingham Oratory. Judith is a highly talented performer in her own right, having given recitals at locations as far afield as York Minster, Canterbury Cathedral, Neresheim Abbey, Germany and St George's Cathedral, Jerusalem. She took up her post as Sub-Organist in June 2007.